"I Greatly Appreciate the Willingness and Ability to Accommodate the Customers' Needs, No Matter How Strange." "We are using BWI wireless solutions in a variety of applications, including on a machine to put sand in the tap hole of an Electric Arc Furnace in our Steel Mill. The remote system helps keep the operators at a safe distance, out of harms way. The only issue we had was the fact that the handheld remotes were not fire proof. (We burnt a whole bunch of them beyond recognition.) BWI went the extra mile to design me a circuit board that I could use in my own 'fire proof' case. The board was completed and sent to me in record time. I built a remote with an all metal housing and buttons. It has worked out very well. The service has been over and above the normal expected relationship. I greatly appreciate the willingness and ability to accommodate the customers needs, no matter how strange." "More Production and a Much Happier Operator." "A friend owns a concrete batching plant and needed to speed up the loading of aggregate and sand. This required the loader operator to get on and off the loader to move the conveyor, start the conveyor and vibrate the sand. Now the operator can do all these task while running the loader. With the remote system we now have more production and a much happier operator. The system is well thought out and works great. This is how all companies should be run. Great product and even better customer service." "Well Trained and Personable Employees"
"It’s wonderful to deal with companies that have well trained and personable employees when making a purchase. A lot of my parts are ordered by phone and I need someone on the other end to know what I am trying to order! Thanks again and again!" "Something I Wish We Had 20 Years Ago!" "We have a unique requirement to be able to generate tones under water for various reasons. Like Diver Alert system, or giving the animals an audible queue. We use hardwired solutions, however that limits us to a small local area. In the past we have used small transmitters to trigger 1 or 2 tones, but again limited in scope. The BWI Eagle wireless remote control solution has allowed us the best of both worlds. The ability to recall multiple tones as well as being wireless and able to transmit and receive from quite a distance. This is the product I have been looking for, for a very long time. I plan on using their systems in many more of our venues for sure!" Update: "Really like it so far! The trainers have taken to it like a Dolphin to water… LOL. This is something I wish we had 20 years ago!" "Equipment Works Great Under Harsh Conditions." "BWI is a great company to work with. I build custom avalanche mitigation equipment. BWI Eagle helped me select the best gear for my application (12V DC Air Eagle XLT) and their equipment works great under harsh conditions. Post sale service is amazing!" Update: "My customer is happy and I could not be more pleased with BWI Eagle!" "Keeps My Forklift Drivers on Their Lift Trucks"
"We are a manufacturing facility. I use BWI eagle products for remote control between conveyor equipment and forklifts. This keeps my forklift drivers on their lift trucks and eliminates the need for them to drive to a wall mounted pushbutton. We have 5-6 systems of this type. Typically I have a 4 or 8 relay control board on my fixed conveyors with the handheld remote on the fork truck. One thing that makes your solution different from other industrial wireless solutions is your handheld remote. Every other vendor I've run into does NOT offer a good/decent wireless handheld remote with a lot of buttons. Every other vendor's remote control seems to be an afterthought! I really do love your product. It just does what I need it to do without being overly complicated." "Needed a Wireless E-Stop Built Into Our System"
"We are a custom machine builder for the aerospace industry and needed a wireless E-Stop system with multiple stations that had the ability to be " built into " our system. BWI worked with us to accomplish this, including reprogramming their chips to meet our needs. I highly recommend BWI for your needs , easy to work with and quality equipment." Update: "The system has been up and running for 3 years with no failures. "Easy to Install. Working Great. No Problems At All." "I was requested by a local college to come up with a solution to an issue they were having. The college has two separate telescopes, housed in two separate domes, that open only when the scopes are functioning. This can occur when staff is present or when the telescopes are used remotely at night. There are two buildings close by and the exterior lights on the buildings interfere with the telescopes. We needed a means to cut building lights when the domes were opened. Utilizing BWI transmitters and receiver to enable/disable contacts in the lighting circuit, the problem was solved." Update: "Sandy, thanks so much for your knowledge and assistance. The remote system is working great. It was easy to install and had great instructions. I had no problems at all." "You Guys Are Good People." "The system works great in the environment where it was installed. which is a slag yard at a nearby steel plant. There is a tremendous amount of steam and dust in that location. The system still performs as if nothing was there to distort the transmission from the transmitter to the receiving unit. You guys are good people. I wish I sold more radio control equipment so I could deal with you guys more. It’s been a pleasure." "These Prox. Sensors Seem Indestructible." "I wanted to reach out to you guys and express how pleased our customer is with their new speed switch system. It definitely works, they are able to detect and shut down belts with trouble issues before they get buried with tons of rock. Brought a 100 year old quarry to the 21st century." Update: "Thanks again, all is working well and these prox. sensors seem indestructible." Call for immediate application assistance and pricing. Click here to find the Product Information Bulletin (PIB) for your BWI Eagle equipment. BWI Eagle Now Offers UL and CSA Certified Products! At BWI Eagle, our equipment has always been manufactured to the highest safety standards, right here in Butler, PA. Now, we are pleased to announce we are offering UL and CSA certified products. 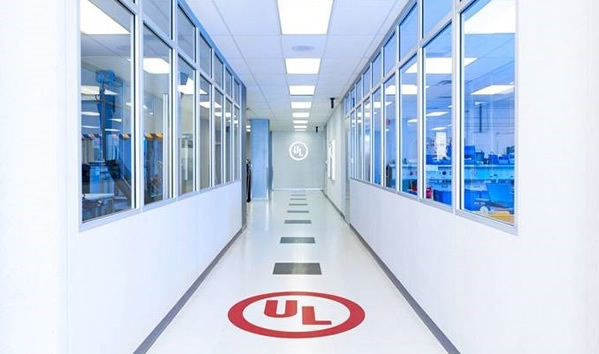 UL is the standard in America (CSA in Canada) for safety and quality assurance. Our products underwent rigorous testing in their labs. 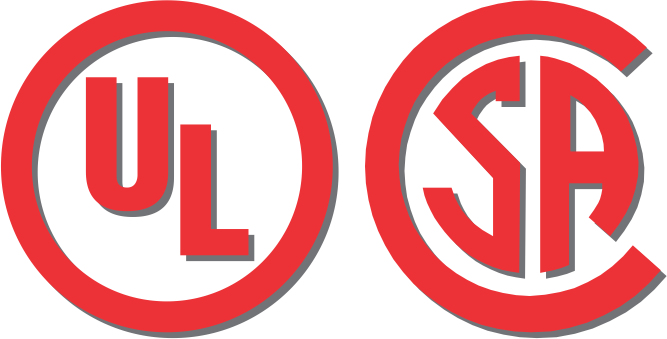 UL tests are designed to ensure that products always operate safely, even under extreme circumstances. Our equipment was exposed to power surges, electrical sparks, fires, freezing temperatures, heat, dust, high humidity, and more to evaluate stability and predictability. The primary purpose of the tests is to push the product far beyond any environmental extremes you would expect it to withstand, to ensure that if circumstances cause a component to fail, it fails without causing damage to anything or anyone around it. We are proud to say our products passed with flying colors! For our customers who require UL or CSA certificated equipment, you now have options in the BWI Eagle product line of industrial remote controls. You can rest assured that our products meet or exceed the nationally recognized standards for safety. ... Read more about BWI Eagle UL and CSA products. All BWI Eagle products are proudly designed, manufactured, and supported in Butler, PA. Contact us here through ourwebsite or reach out to one of our team members directly by phone or email. We'd love to talk to your about your wireless remote control projects! We offer a 30 day money back guarantee on all products. We work with you to find the best solution for your application. We offer custom design and engineering - often for no additional cost! All our products are designed and built in the USA. We deliver high-quality products on time. We're experienced and well-trusted in the industry. We cater to OEMs with many value added services. © 2019 BWI Eagle. All rights reserved.